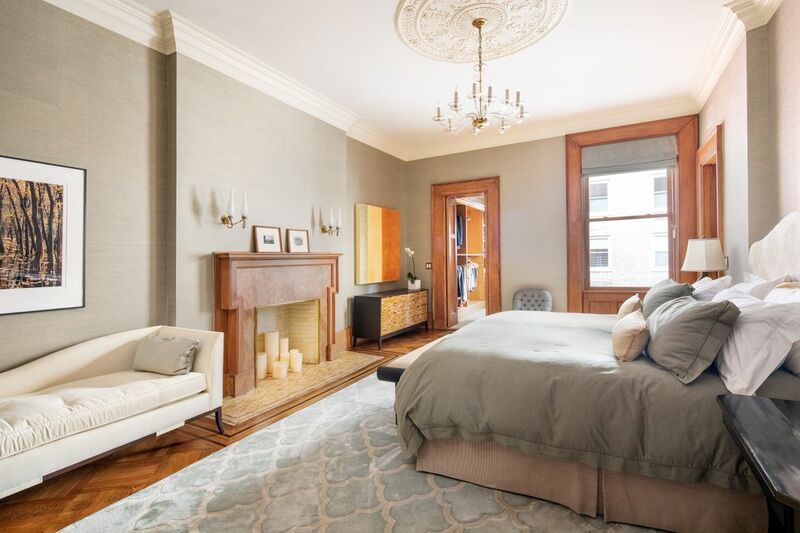 15 West 76th Street, New York, NY 10023 | Sotheby's International Realty, Inc.
$23,000,000 6 Bedrooms*5 Full / 2 Partial Baths10,050 sq. ft. 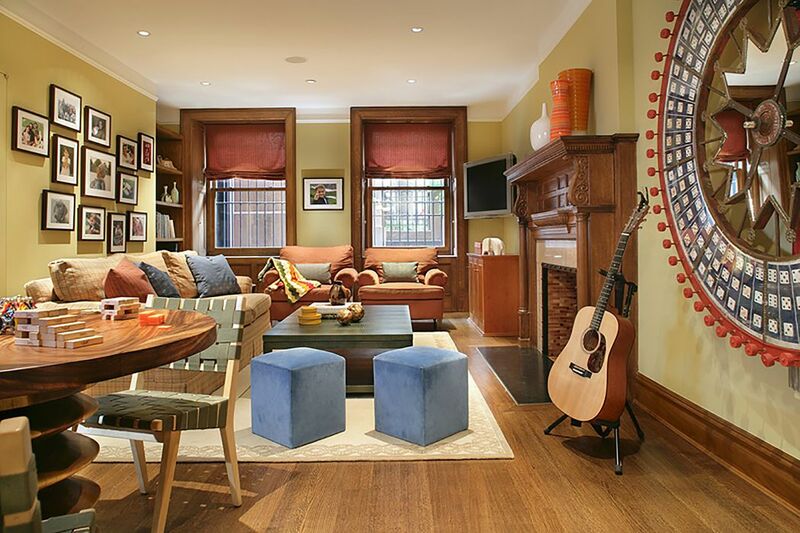 This triple-mint 25-ft wide brownstone with stoop, two entrances and elevator on a beautiful tree-lined Park block is in perfect move-in condition. 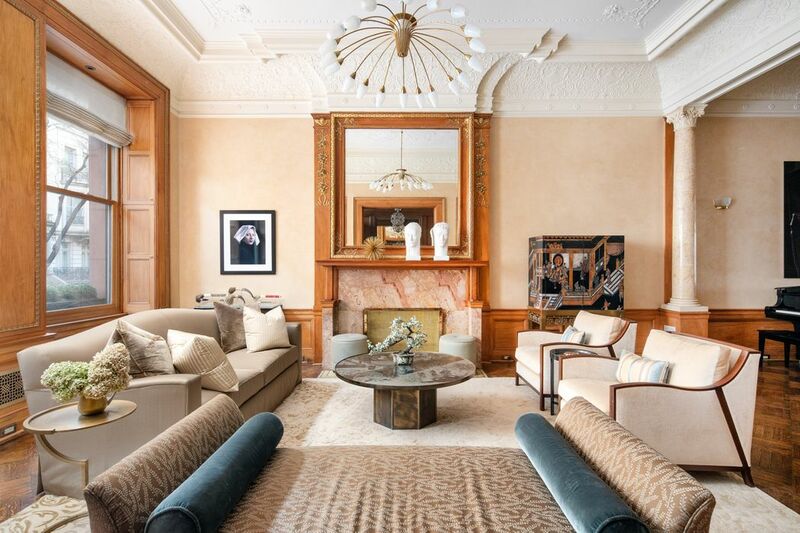 Extraordinary architectural details abound and distinguish this exceptional home as one of the finest brownstones ever to become available on the Upper West Side. 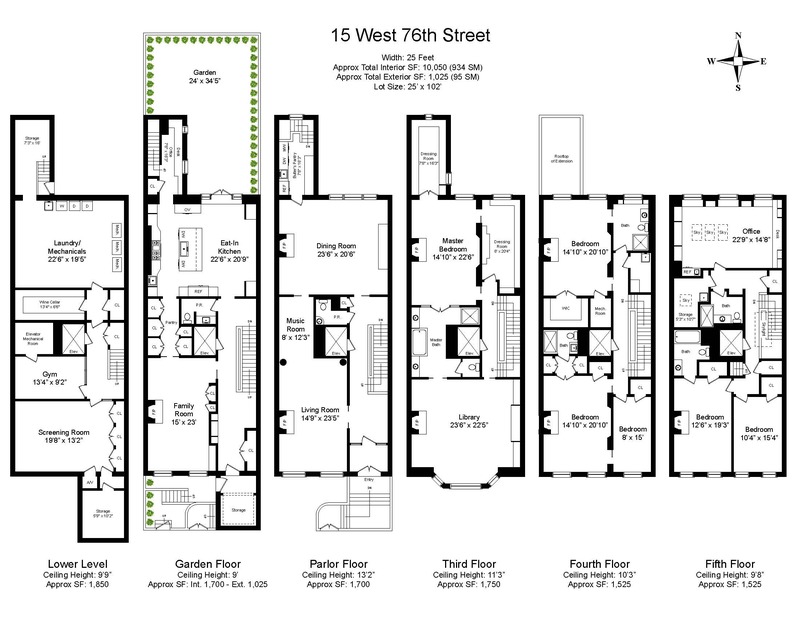 First Floor: Enter under the stoop to the ultimate in family living. 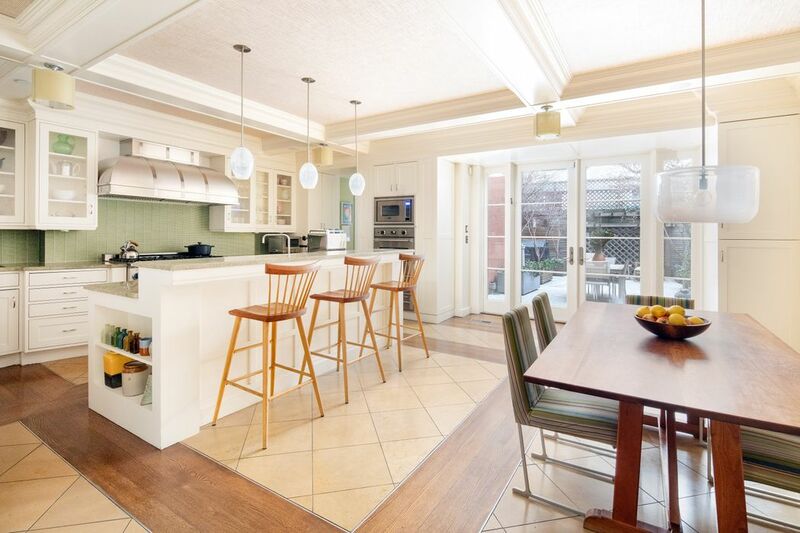 The very best gourmet eat-in kitchen is outfitted with full-size fridge & freezer, 2 sinks, 2 dishwashers, 3 ovens, 6-burners & griddle/grill cooktop with vented hood, 2 warming drawers and wine fridge. Eat at the island or the large family table. 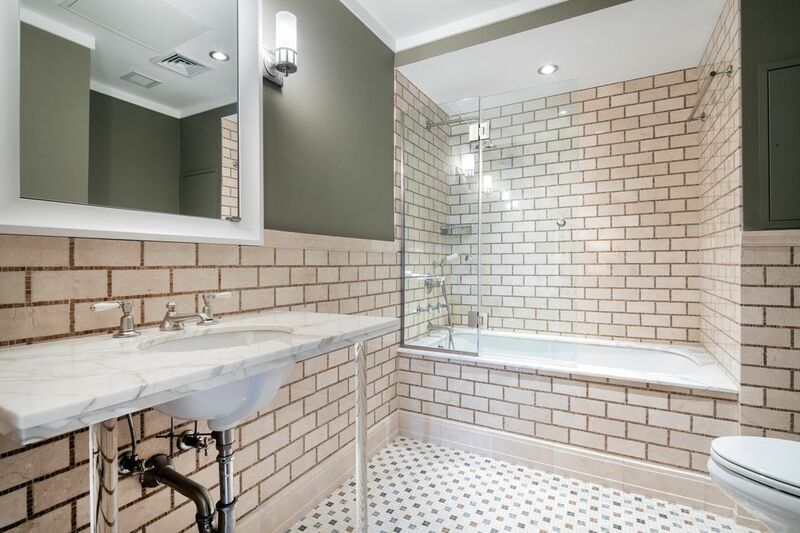 A coffered ceiling mirrors the floor which is laid with alternating tile & wood, providing cushioning for the back & feet while doubling as a stunning decorative feature. 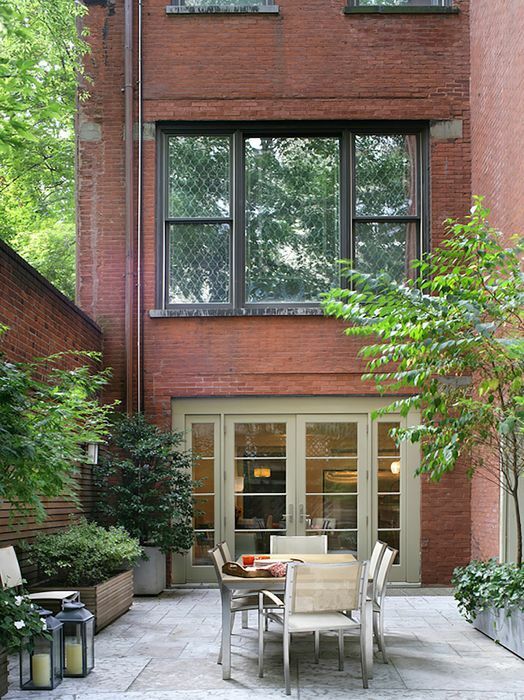 Oversized French doors open to a landscaped garden large enough to accommodate 50 seated guests. Jerusalem stone is complemented by fully irrigated planting beds. There is a gas line for grilling & custom lighting creates a magical atmosphere. The hall connecting kitchen to family room serves as a walk-through pantry with custom designed doors & extensive storage. 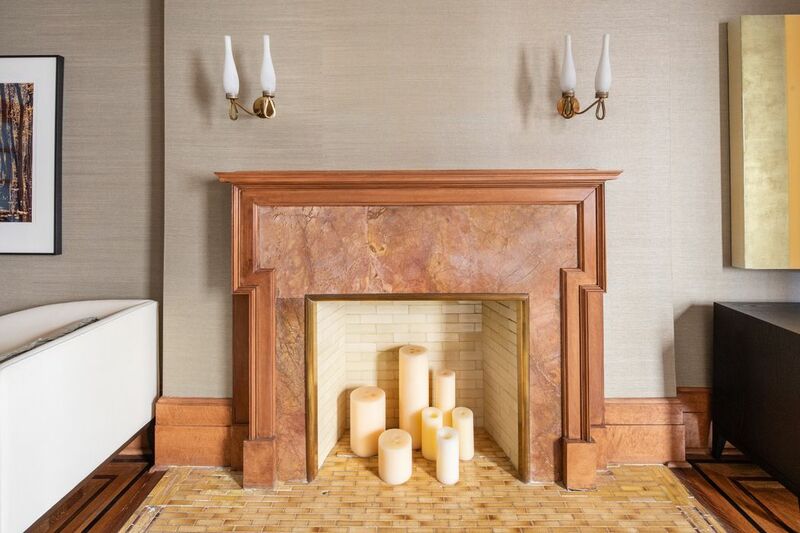 Adjacent is a south-facing family room with one of the home’s 8 stunning fireplaces. 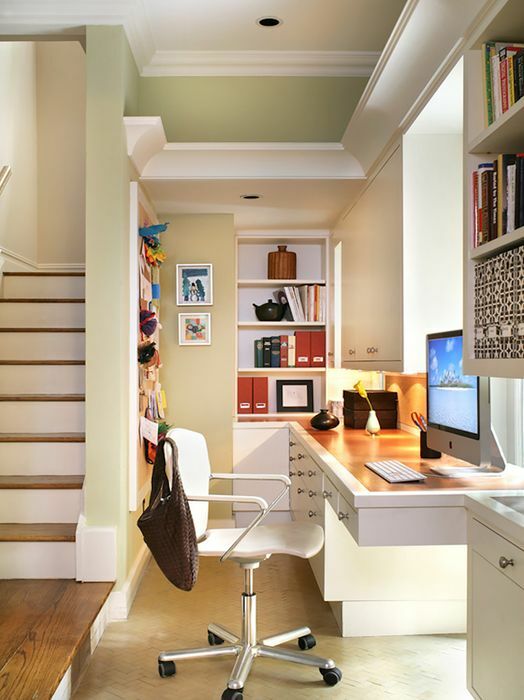 A windowed office with garden views, a beautiful powder room with hand-laid imported European tile & a back-stair leading to the formal dining room complete this floor. 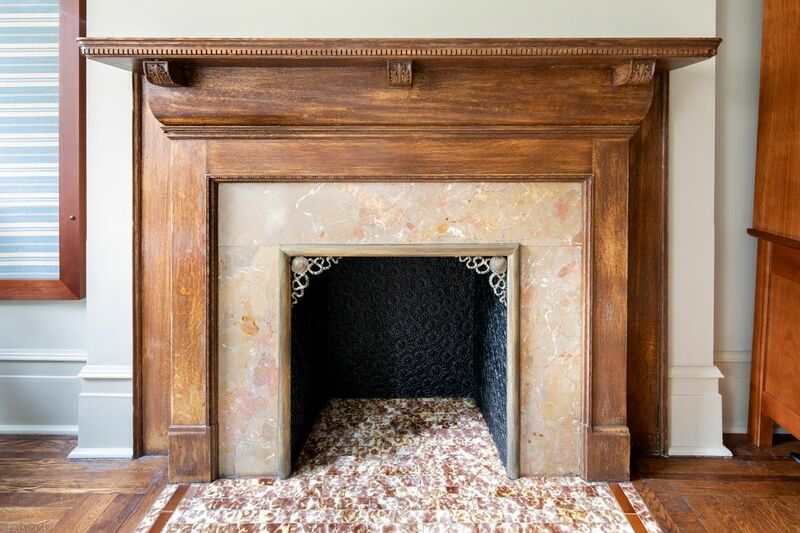 Parlor Floor: A meticulously restored brownstone stoop, front doors with original grillwork & frosted glass transom lead to the parlor floor--it’s an absolute showstopper. Ceiling heights soar to 13-ft and ornate plaster moldings in perfect condition are testaments to fine artisan craftsmanship. The south-facing living room has an extraordinary fireplace, Venetian-glazed walls, gold leaf trim, wainscoting & original wooden shutters on oversized windows, all painstakingly restored. 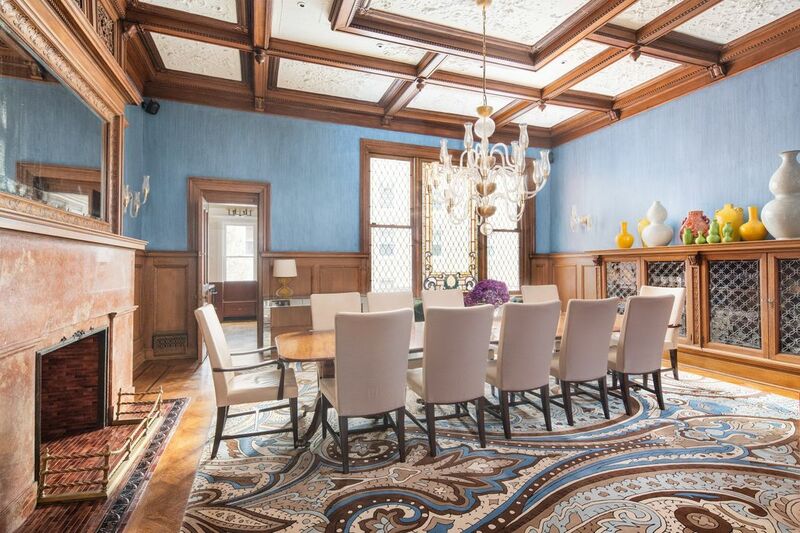 Here is one of Manhattan’s most impressive private dining rooms, featuring an extraordinary fireplace hearth, original stained glass windows, coffered ceiling with plaster molding detail & an original oak breakfront--absolutely breathtaking. A fully outfitted butler’s pantry reached via the back stair enables staff to serve discreetly; sit-down dinners for 80 can be readily accommodated. 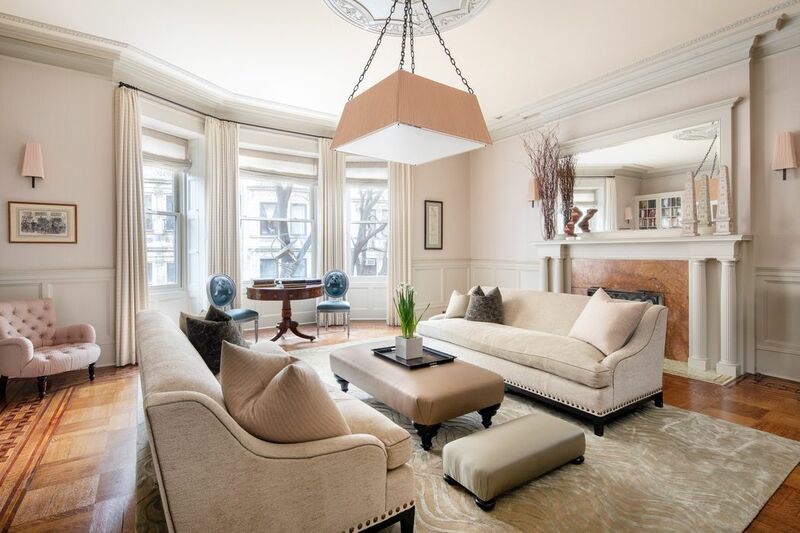 Third Floor: The master suite is the pinnacle of luxury living--elegant & casually chic. 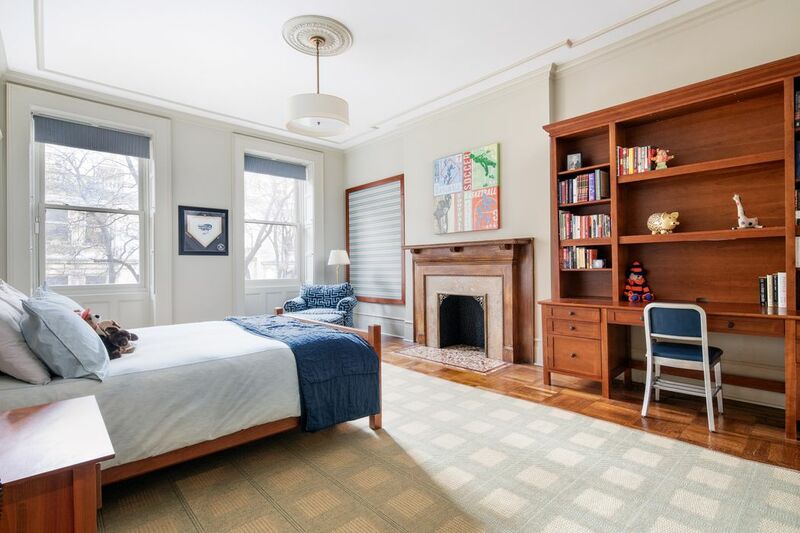 Ceilings remain high at 11-ft. On the south side is the library, with bowed windows, another incredible fireplace hearth, exceptionally beautiful patterned hardwood floors and original oak pocket doors with stamped hardware. 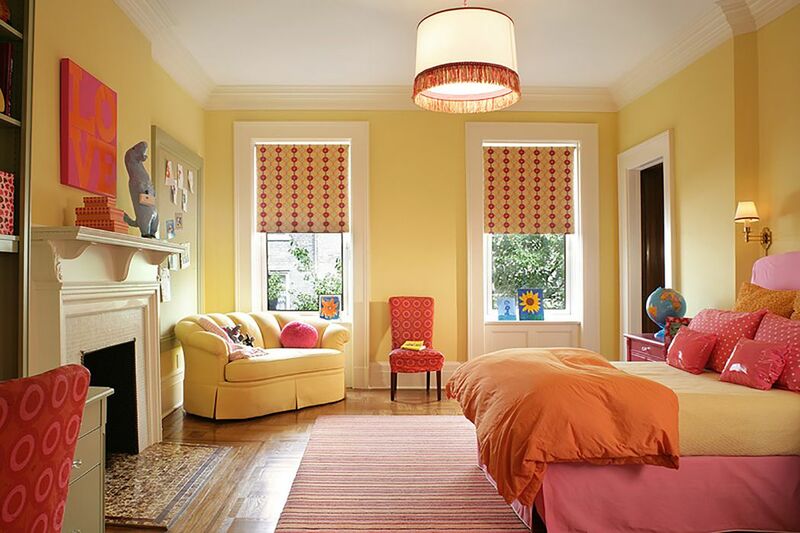 The master bedroom has ample space for a king-size bed, chaise and additional seating with double walk-in custom outfitted & windowed dressing rooms. 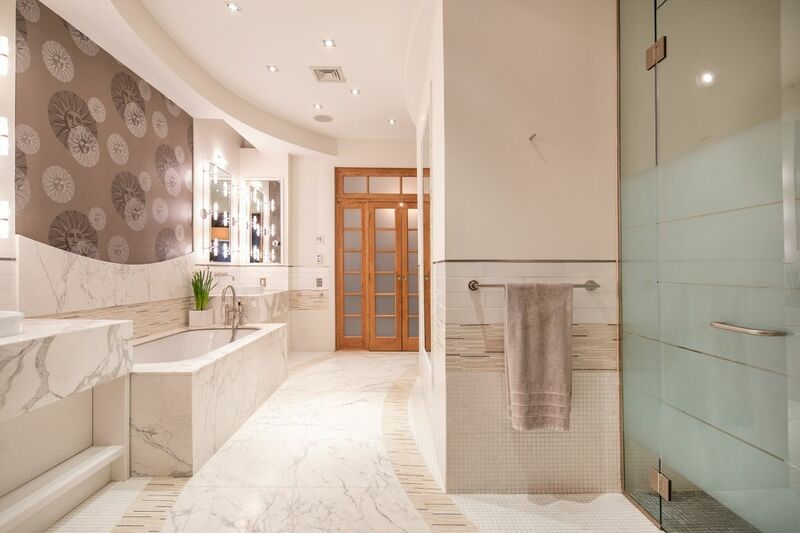 The ultra luxe master bath is marble-clad, with Jacuzzi tub & 2 sinks. 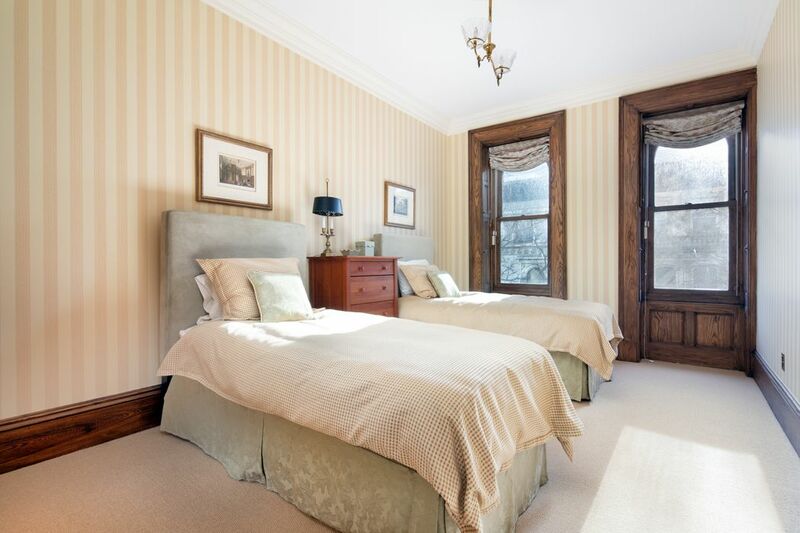 Fourth Floor: Three additional bedrooms, 2 with en suite baths, both with magnificent fireplace hearths. A side room has existing plumbing for an upstairs laundry. 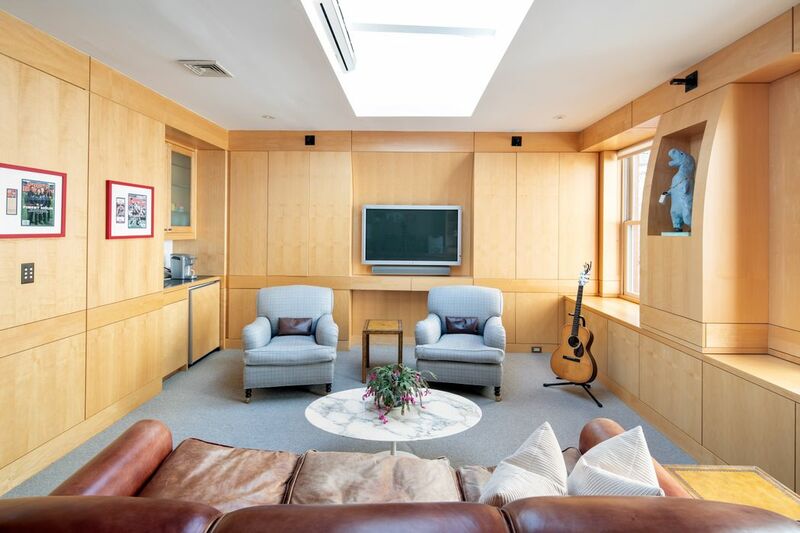 Fifth Floor: A huge office spans the entire north side of the floor, with 3 windows, built-ins, wet bar & skylight. 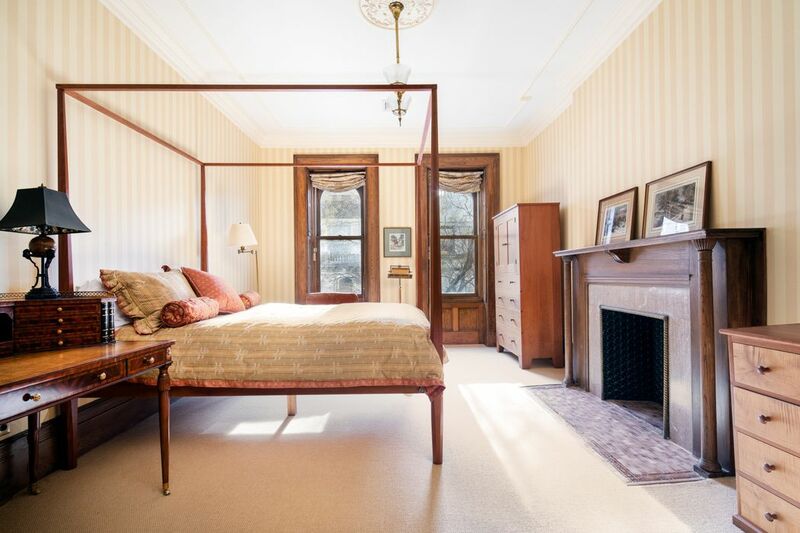 There are 2 additional bedrooms, 2 full baths, a gorgeous original stained glass skylight & huge storage room. A kitchen could be added should one wish to convert the floor to staff quarters. 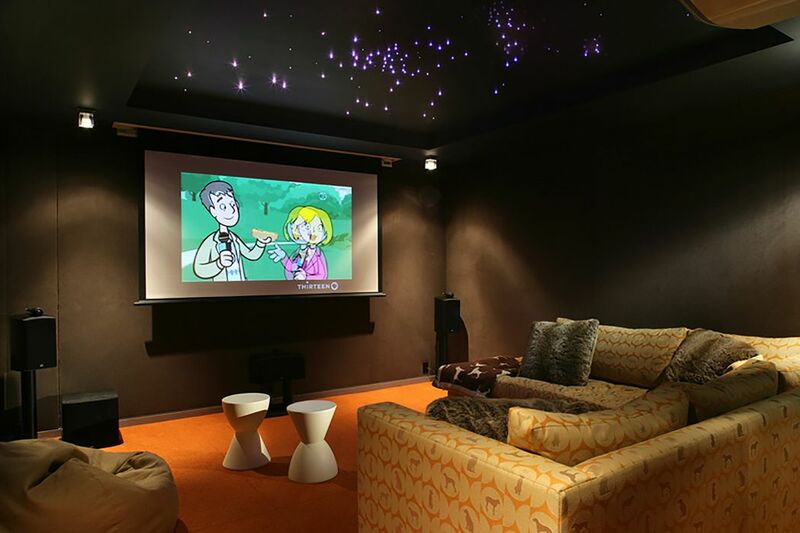 Lower Level: State-of-the-art home theater with a ceiling that lights up the constellations, 2,000+ bottle wine cellar with barrel-vaulted ceiling, gym, laundry & abundant storage. Additional Features: A commercial grade elevator (fits 4 adults) services all 6 floors. Southern exposures. 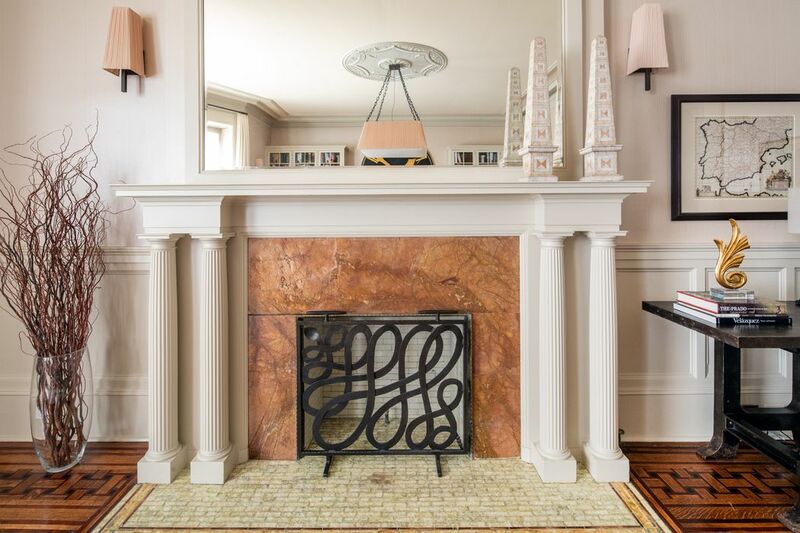 8 fireplaces. 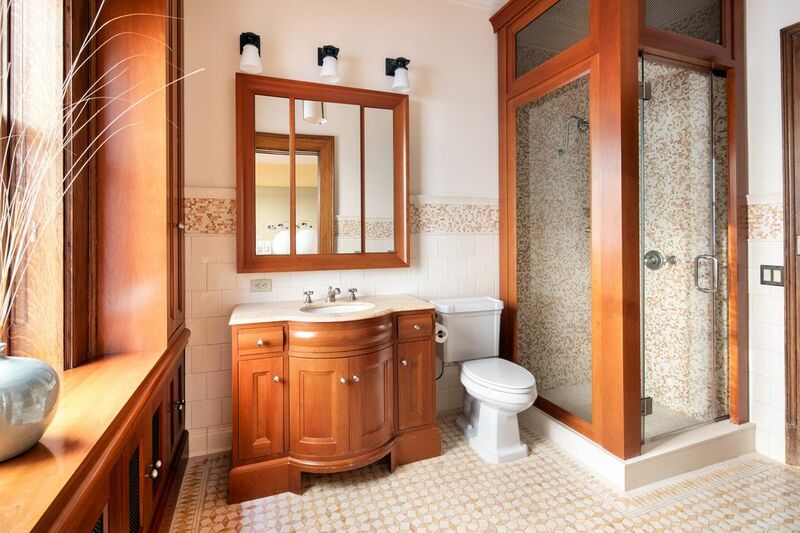 Artisan-tiled bathrooms. Thick walls insure quiet & privacy. Oversized custom closets & cleverly designed storage--there’s even a “garage” for bikes, skis & other gear. Lutron lighting, 6-zone HVAC, Crestron system with Sonos, CAT-5 wiring and pro security system. 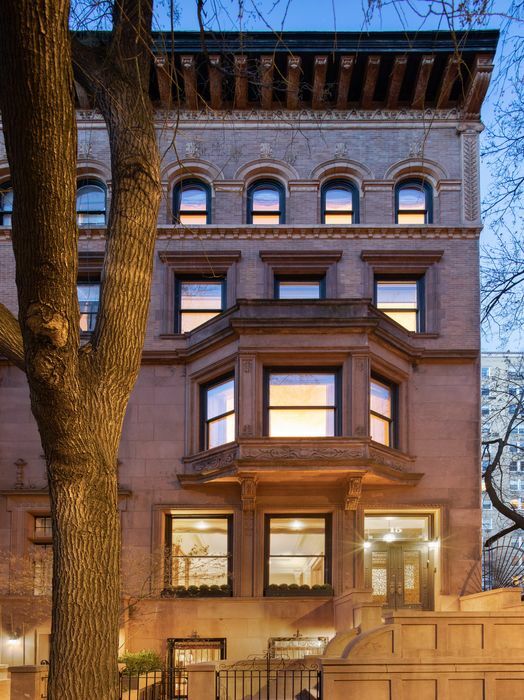 The Wall Street Journal, "A Manhattan Home Where Historical Details Accent Modern Updates"
Bloomberg, "Hedge Fund Manager David Berkowitz Is Selling His $23 Million Brownstone"
Triple-mint 25-ft wide brownstone with stoop, 2 entrances and elevator on a tree-lined Park block. Perfect move-in condition. Extraordinary architectural details. First Floor: Gourmet EIK with full-size fridge & freezer, 2 sinks, 2 DWs, 3 ovens, 6-burners, vented griddle/grill cooktop, 2 warming drawers & wine fridge. 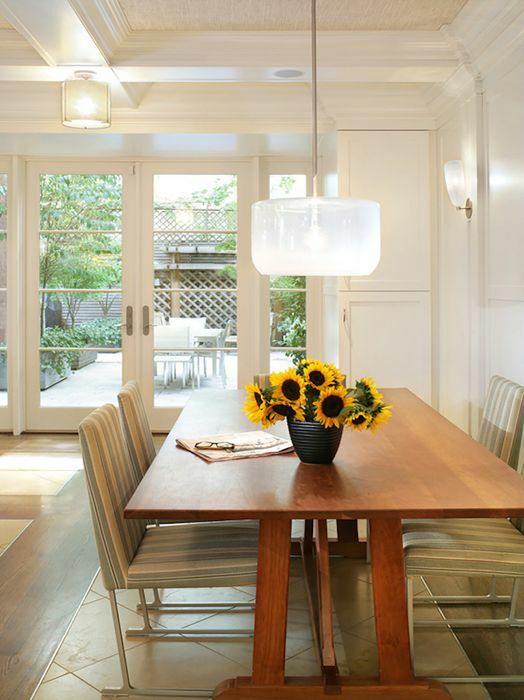 A coffered ceiling mirrors the floor, laid with alternating tile & wood, both comfortable & decorative. There’s a sunny family room with stunning fireplace, a windowed office with garden view, powder room with hand-laid European tile. French doors open to an irrigated landscaped garden with gas line, custom lighting & Jerusalem stone. 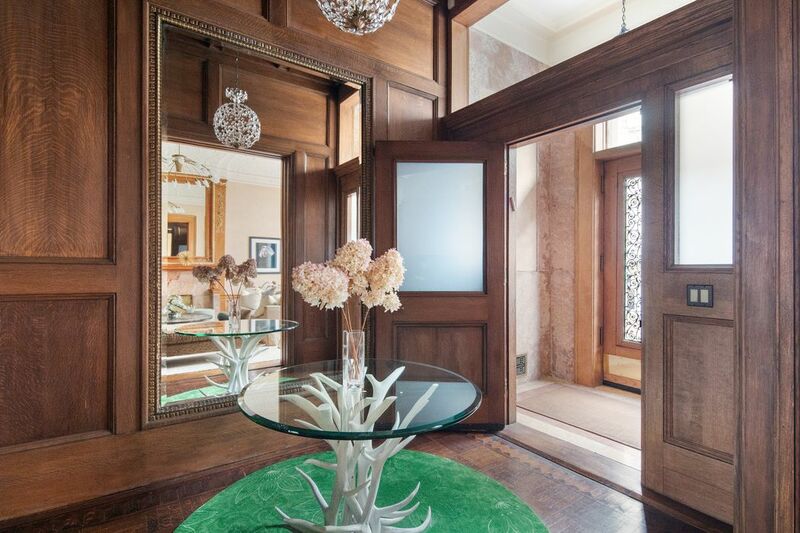 Parlor: A meticulously restored stoop, front doors with original grillwork & frosted glass transom. 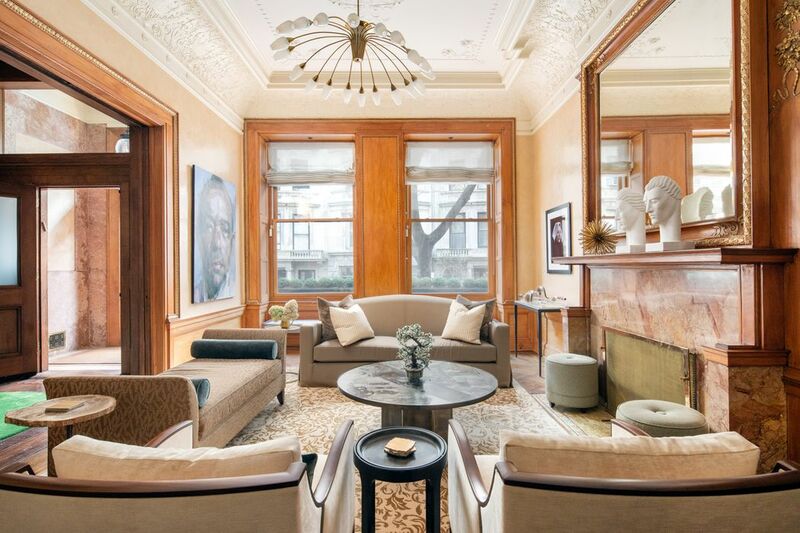 13 ft ceilings & ornate plaster moldings evidence the fine artisan craftsmanship. The south-facing living room has an extraordinary fireplace, Venetian-glazed walls, gold leaf trim, wainscoting & original wooden shutters. 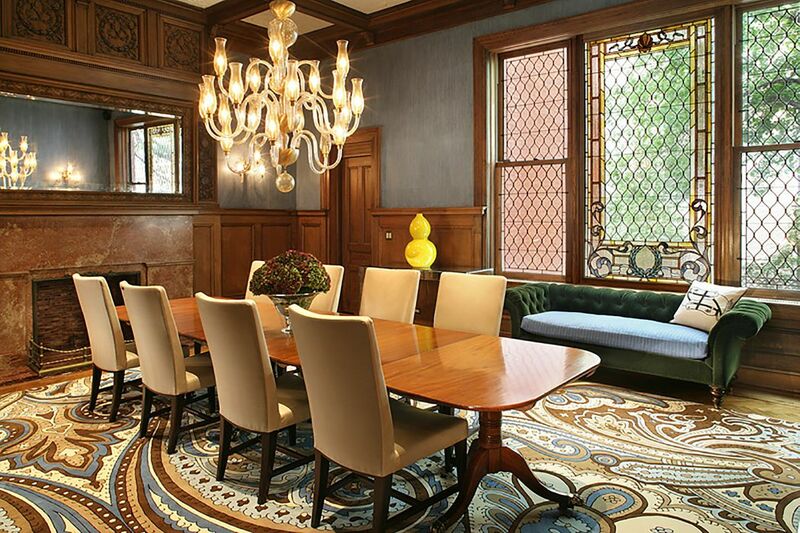 A breathtaking dining room: extraordinary fireplace, original stained glass windows, coffered ceiling with plaster molding detail & original oak breakfront. A butler’s pantry is reached via the back stair. Third Floor: The master has 11-ft ceilings, double walk-in custom outfitted & windowed dressing rooms, marble-clad bath with Jacuzzi & 2 sinks. A south-facing library has bowed windows, incredible fireplace hearth, patterned floors & original oak pocket doors with stamped hardware. 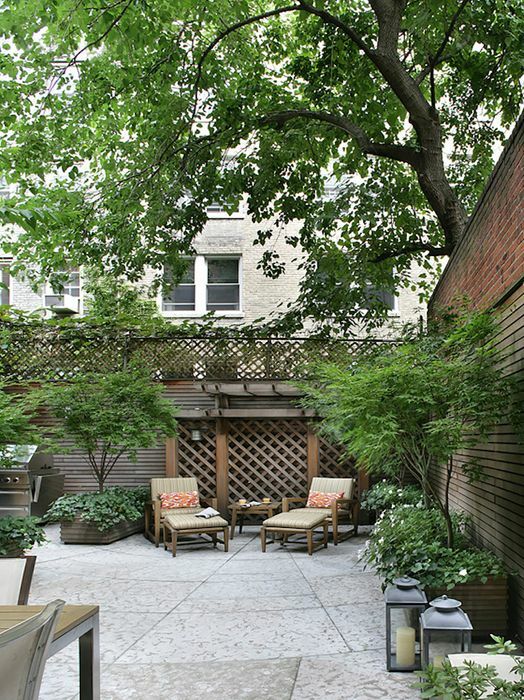 Fourth Floor: 3 additional bedrooms, 2 en suite baths, 2 magnificent fireplace hearths. 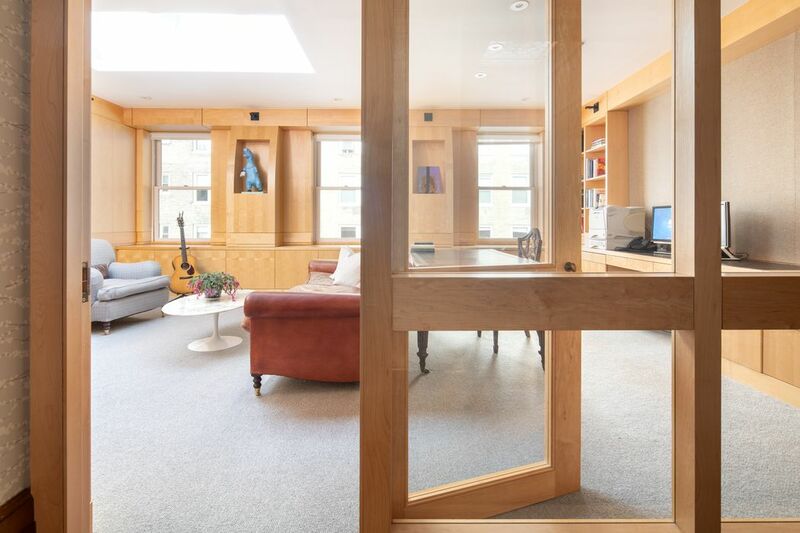 Fifth Floor: A huge office with 3 windows, built-ins, wet bar & skylight. 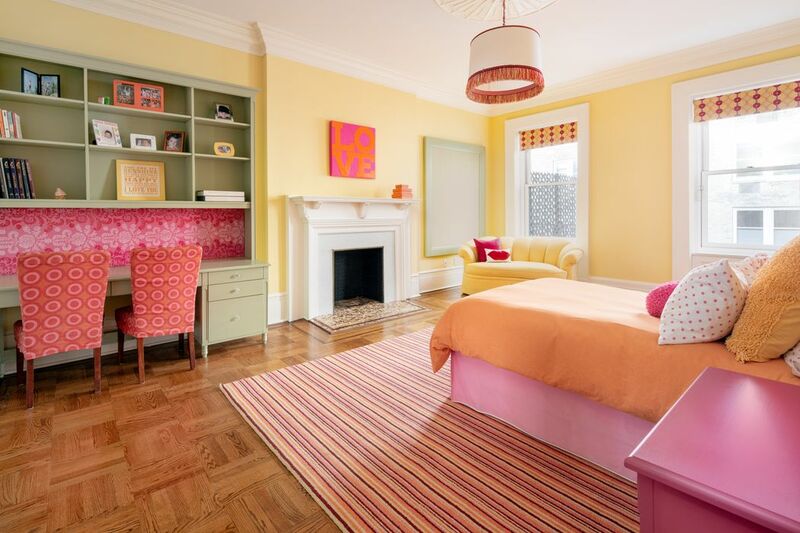 2 additional BRs, 2 full baths & a gorgeous original stained glass skylight. 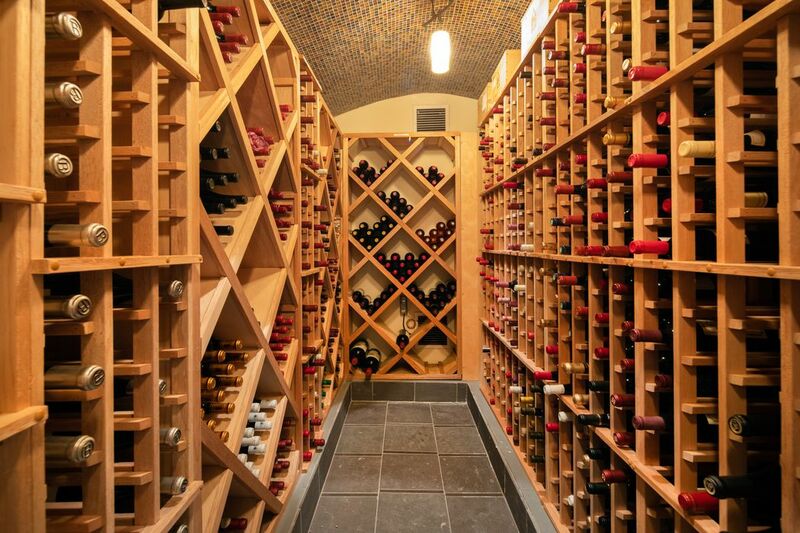 Lower Level: Home theater, 2,000+ bottle wine cellar, gym, laundry, storage. Additional Features: Elevator services all 6 floors. 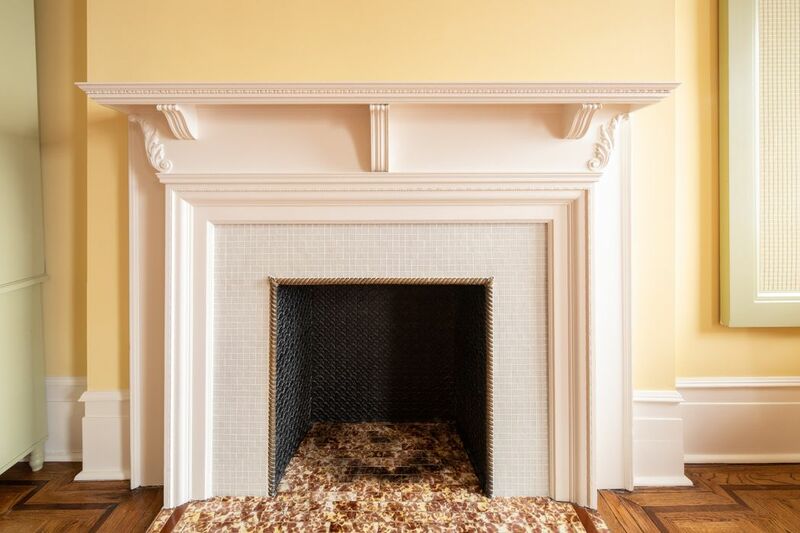 8 fireplaces. Artisan-tiled baths. Thick walls=quiet and private. Great closets & storage. Lutron, 6-zone HVAC, Crestron. Sonos, CAT-5. Pro security.